Sign up at iGive.com and select Tails of Aloha as your cause, then when you shop through iGive, Tails of Aloha will receive a percentage of your purchase! Shop at NuVet Labs and Enter Code 63931 when making a purchase and a portion of your sale will support Tails of Aloha. Pro Balance offers you a chance to give your dog optimal nutrition, so they can enjoy maximum vitality as they grow and mature. Pro Balance fills in the “nutritional gap” that most dogs struggle with and moves your beloved pet into a state of optimal appearance, performance and health. Within weeks, you’ll start to notice some dramatic changes in how your dog looks, acts and feels. Tails of Aloha gets a portion of your sale when you use this link to shop Vet Balance. Come visit our Tails of Aloha Merchandise Store on Zazzle. Come take a look at our Tails of Aloha Merchandise store on Printfection. GoodSearch.com is a new Yahoo-powered search engine that donates half its advertising revenue, about a penny per search, to the charities its users designate. Use it just as you would any search engine, get quality search results from Yahoo. All you have to do is select Tails of Aloha from the pull down menu and that’s it, continue on by doing your search from there. PETCO is a leading pet specialty retailer that provides the products, services and advice that make it easier for our customers to be great pet parents. A portion of your sale will suppot Tails of Aloha. One World Projects is an established industry player in the fair trade, socially & environmentally conscious market. Many products are made from renewable resources, thus providing artisans with incentives to conserve, protect, and in many cases restore their natural resources and biologically-diverse ecosystems. All One World Projects’ products provide viable economic alternatives to artisans and their families in developing countries while promoting social and environmental responsibility. 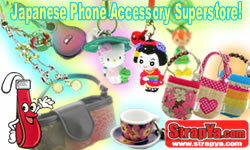 Strapya is a worldwide Japanese Cell Phone Strap, Charm & Accessory Store.? Located in Japan, Strapya carries over 10,000 kinds of Cell Phone Accessories, mainly Cell Phone Straps (called Keitai Strap in Japan). Strapya also carries gadgets, jewelry and many Kawaii & Otaku items! A portion of your sale will support Tails of Aloha. Ma Snax Superior Treats was established in beautiful Sonoma, California in 2005. Recipes were developed and tested. Friends and family members were called upon to sample the various organic whole-grain and handcrafted cookies. All the dogs were very happy.? Their biscuits are all organic, to provide a well balanced treat that’s nourishing to our pets.? When purchasing from their website, please write Tails of Aloha in the Comment Box before completing your purchase and a percentage will go to us. 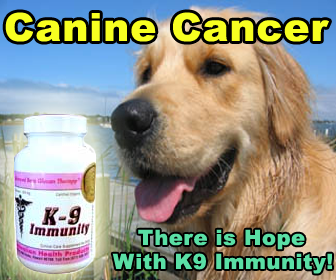 K-9 Immunity is for use in dogs fighting cancer. It is made from the same pharmaceutical grade immuno-modulating compounds that our human grade Immune-Assist is, but packaged specially for dogs. First developed for addressing cancer in Seeing Eye dogs, now available for your dog. K-9 Immunity? has been used in thousands of dogs with cancer , and for more than 6 years in human patients. Talk to your vet about K-9 Immunity?, or order now and get started today! Check the links above for detailed information on how this treatment adjunct works. 21st century breakthrough.? If you purchase through the link on our website, a portion will go to support Tails of Aloha. Wag?N offers pet parents and first responders the necessary gear, supplies and training to effectively mitigate, prepare and respond to emergencies that impact pet health and safety. A portion of your sale will support Tails of Aloha. Native Remedies, the market-leading brand of natural remedies specially formulated to offer a complete solution for holistic wellness!? Founded in 2002, they currently have more than 300,000 customers worldwide and offer over 250 herbal and homeopathic remedies for adults, children and even pets. A portion of your sale will help support Tails of Aloha. The philosophy of Just Because For Dog Treats was to create treats that dogs with special needs will love. Even with strict diets and allergies, they can enjoy special treats. We make every treat from scratch, using the best ingredients. We don’t use any added sugar, salt, wheat, coloring or artificial preservatives. We only use natural meat stock, oats and the finest ingredients for flavor. Working in nine countries in addition to the United States, Seva Foundation supports projects in the area of health and wellness, community development, environmental protection and cultural preservation.? Seva currently works to: Prevent blindness and restore sight in India, Nepal, Tibet, Cambodia, Bangladesh, Egypt, Tanzania and Guatemala. Support Native American projects across the U.S. in the areas of health and wellness, community development, environmental protection and cultural preservation.